A biker uses the temporary lane set up in Downtown Bethesda. The pop-up lane was part of an initiative by the Montgomery County Department of Transportation to create more safe biking infrastructure. Photo by Zara Ali. 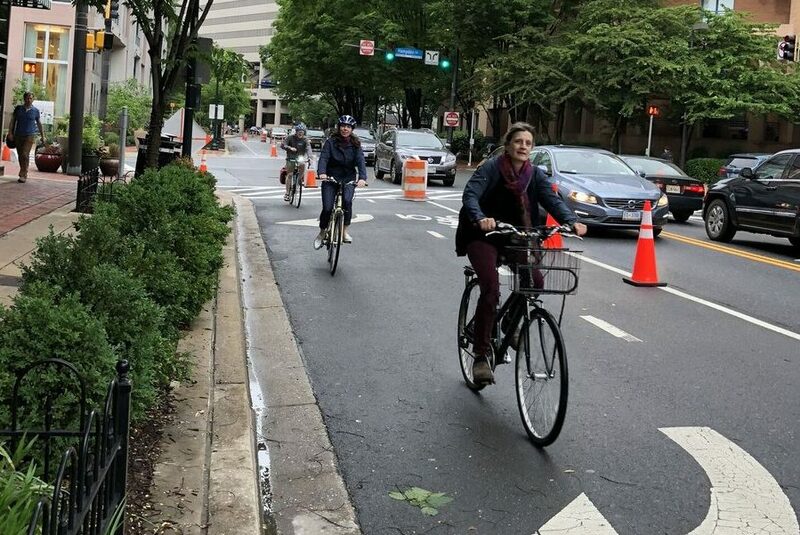 The Montgomery County Department of Transportation launched their first trial bike lane, referred to as a pop-up lane, Friday May 18 to test the lane as a possible permanent path for cyclists. If established, the trial lane will mark the first installation of a network of bike lanes within downtown Bethesda. From 6 a.m. to 8 p.m. on Bike to Work Day—an annual event started by the League of American Bicyclists in 1956—bikers used the temporary lane starting near the intersection of Norfolk Avenue and Cheltenham Drive and ending near the beginning of the Capital Crescent Trail. “Bike to Work Day is an ideal time to create a pop-up bike lane because the event attracts large numbers of less experienced cyclists who may not be as familiar or comfortable with riding in traffic lanes,” Montgomery County Department of Transportation communications director Esther Bowring wrote in a press release. Bethesda Bike NOW, a coalition that advocates for safe biking infrastructure, initially contacted the Department of Transportation about the lack of a safe bike path through Bethesda when the construction of the Purple Line temporarily closed the Georgetown Branch of the Capital Crescent trail in September. The permanent lane, if implemented, will run the same route along Woodmont Avenue in downtown Bethesda and be called the Bethesda Loop. 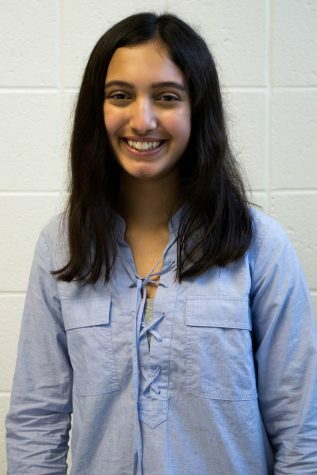 The Montgomery County Council has preliminarily approved to allocate funding for the construction of the lane as of last Thursday, but the formal budget allocations will be decided in the upcoming days. Brian Lofgren, a paraeducator who bikes to Whitman daily, supports the addition.